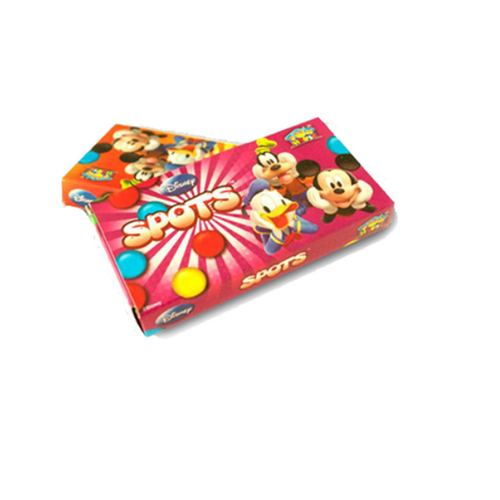 Our clients can avail from us high quality range of Choco Lentils Candy. Owing to their features like attractive looks, fine finish, smooth texture and stylish designs our product is in high demand. Kayempee Foods Pvt. Ltd. was established in the year 2001. We are one of the leading manufacturer, supplier and exporter of Delicious Chocolates, Milk Chocolates, Chocolates, Delicious Candies, Chocolate Wafers and Chocolate Candy Sticks. We are India top quality manufacturer of the finest chocolates. Our products are supplied to chocolate maker sand chocolate users across the nation, from local bakeries to corporate companies. The combination of industrial foods and consumers foods creates a global power house in wholesale supplier of chocolate and chocolate confectionery. It is the faith and respect of every level of society that it comes in contact with and is acknowledged among the finest products of chocolate. We have earned the trust and respect of every stratum of society that it comes in contact with and is acknowledged among the finest products of chocolate. Since inception we have also pioneered the development of choco paste in India. For over a decade, we are one of the leaders in Indian market.